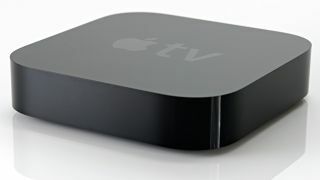 When will we see a new Apple TV? It looks like there really is an Apple TV 2.0 in the pipeline - but chances are it's not going to come with 4K streaming capabilities. That's according to a report in Buzzfeed that quotes "sources in a position to know" what's happening with the latest puck-shaped media box from Cupertino. 4K content is still something of a niche market, but the likes of Netflix, YouTube and Amazon have already started broadcasting a limited amount of material in the format (the equivalent of a 3840 x 2160 pixel frame and more than four times the resolution of 1080p). It wouldn't drastically affect your viewing right now, but if the Apple TV 2.0 is going to remain relevant in the years ahead then the omission of 4K capabilities would hurt its chances. There might be the option to add it later via a software upgrade, however. Let's not forget that 4K-capable televisions aren't exactly common in households right now, despite a lot of industry buzz, or the fact that such ultra-high-definition video requires a lot of storage space (or a very fast Internet connection). With those caveats in mind perhaps Apple engineers think it isn't worth the effort right now. "4K is great, but it's still in its infancy," said one of the sources that Buzzfeed spoke to, while Apple itself refused to comment on the rumours one way or the other. The Apple TV has been given several iterative upgrades but no significant jump that would earn a 2.0 moniker - it's been three years since the last major bump. While nothing is official, there's plenty of speculation that a brand new box is going to be shown off at Apple WWDC in June. Love TVs? Check out our TV reviews!